I’ll be honest. This morning I had 2 songs in my head…on an alternating basis…both by the 70’s soul singers, THE CHI-LITES. I kept hearing, “One month ago today, I was happy as a lark.” And I would hear the music. Pretty soon, that would morph into “I’d be in trouble if you leave me now.” Both incredibly sad songs about lost love. 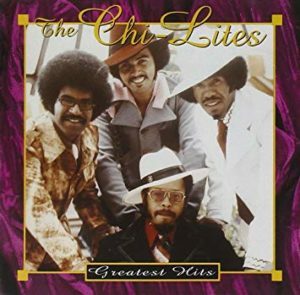 I’m talking about “Have You Seen Her?” And then, there’s “Oh Girl.” And featuring the great 4-part harmony of THE CHI-LITES, that great vocal group out of Chicago.. Eugene Record and the rest of these guys had some mighty big songs. Other favorites for me were “The Coldest Days Of My Life,” which was a beautiful song, and most likely, my all-time favorite. And there was something completely different. A protest song, called “Give More Power To the People,” which was a little unusual for these soul crooners.